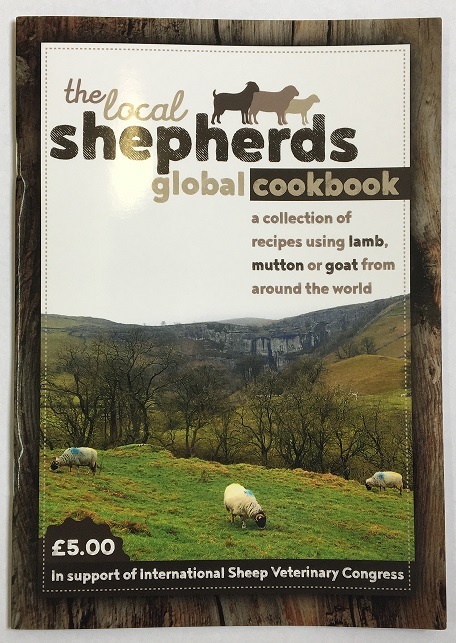 SVS member Heidi Svensgaard produced 'The local shepherds global cookbook' , for either personal use or to sell within lamb boxes, through local butchers or farm shops. The well-presented booklets contain mutton, lamb and goat meat recipes and are retailing for just £5 each. Proceeds from sales will go to help people in some of the world’s poorest countries benefit from the work of the International Sheep Veterinary Congress, recently held in Harrogate, Yorkshire. To buy copies please contact heidi@acerflock.co.uk.